As with money, protein is not known for growing on trees. But only if you haven’t heard of TerViva — a California-based agribusiness planting tens of thousands of pongamia trees in Florida and Hawaii. Read More. Led by Ag Family Offices and Climate-Smart Investors, Funding Round Brings Ag-Tech Firm to $40 Million Raised for High-Yielding, Sustainable Plant Protein Product Development. Read More. As citrus greening disease continues to challenge the Florida citrus industry, many growers are looking toward alternative crops to grow. One former citrus grower seems to have found his niche. Read More. Demand for plant-based proteins and oils is increasing steadily, while the arable land available to grow them is constrained. But what if you could grow something like soy – but with a far higher yield - on trees? Read More. Angeli Mehta profiles Land Life, TerViva, and Komaza, three startups that are finding growth opportunities in planting the trees scientists say are urgently needed to combat climate change. Read More. Pongamia, a shady legume tree native to Southeast Asia and parts of Australia, has been picking up hype as a potential source of biofuel feedstock, promising higher yields while using significantly fewer resources than comparable crops. Pongamia has traditionally been grown as an ornamental tree for its white or pale purple flowers, and for the oil that can be harvested from the tree’s light brown seeds, which look a bit like a cross between an almond and a lima bean. Long used as an ingredient in Ayurvedic medicines and skin care products, the oil can also be made into biofuel, and pongamia proponents hope to develop a host of secondary products, like animal feed, from the remaining seed material. Read more. TerViva named a Top 25 Ag-Tech startup for second year in a row! TerViva is honored to be recognized as a Top 25 Ag-Tech startup by Forbes for the second year in a row. Check out the other companies on the list here! There is an ancient tree species that is catching some growers’ attention as a potential new alternative crop in Florida. Native to India, the pongamia tree has grown wild there and used by people for thousands of years. Pongamia produces a legume, which looks similar to a butter bean. It can be crushed to extract oil and used as a fertilizer. Read more. A new report by World Resources Institute (WRI) and The Nature Conservancy (TNC) reveals that businesses around the world are making money by planting trees, unleashing a growth opportunity for venture capital, private equity and impact investors. The research indicates the restoration economy is at a tipping point. “It’s more than a crop,” says Kusch. “This is a new industry.” Read More. TerViva was featured in Forbes article on the Top 25 Most Innovative Ag-Tech Startups. Click the link below to learn more about TerViva and the other companies doing awesome work in the Ag-Tech space. Florida growers are constantly looking for alternative crops to diversify and find new markets. With pest pressure and increased competition challenging traditional crops, that hunt is becoming more intense. Some alternatives might work, while others will not, but it is good to know folks are on the lookout for new crops suited for the Sunshine State. The tree, which is native to Asia and was introduced to Hawaii over 100 years ago, could potentially address the state's need for renewable fuels, bioenergy and diversified agriculture, according to a statement from Honolulu-based Alexander & Baldwin (NYSE: ALEX), which closed down its Hawaiian Commercial & Sugar Co. operation and held its last sugar harvest at the end of last year. The test project, which was announced on Wednesday, intends to confirm pongamia's agronomic suitability, while also determining production costs and yields at commercial scales. A&B said that initial planting is expected to start later this summer. The project could be expanded to 2,000 acres or more. Hawaii Gas Co. said recently it expects to act on plans to integrate biogas from the city’s Honouliuli Wastewater Treatment Plant into its pipeline. State Consumer Advocate Dean Nishina recommended in March that the state Public Utilities Commission approve the fuel supply agreement between Hawaii Gas and the City and County of Honolulu under which the utility would buy biogas from the city. Biogas is a fuel made up of roughly 60 percent methane and 40 percent carbon dioxide, which the sewage plant had been capturing and burning off. CLEWISTON, Fla.—Faced with two existential threats—a disease that depletes citrus trees and a dramatic decline in orange-juice consumption—Florida’s citrus industry is seeking alternatives from olives to hops, pomegranates to peaches. Peter McClure, who grew up in a family of citrus farmers, has joined a new venture that is looking to pongamia, a tree native to India and Australia that produces oilseeds similar to soybeans. “It doesn’t look like citrus is viable for most of us now,” Mr. McClure said. Fortune Magazine speaks with TerViva Co-founder and CEONaveen Sikka about TerViva's plan to help feed the world more sustainably through the use of new crops and bioinformatics. TerViva's Will Kusch sits down with ThinkTech Hawaii to explain what Pongamia trees are and how they will help Hawaii reach its goal of one billion dry tons of biomass for energy consumption. Watch the interview here. Federal and state officials gathered to applaud the groundbreaking of an electric power generation plant at Schofield Barracks on Monday that will be run on 50 percent biofuel and 50 percent fossil fuel. Gov. David Ige, who attended the groundbreaking, said the new plant is a move in the right direction. Ige said the state may be closer to producing larger quantities of biofuels than originally planned due to companies like TerViva, which grows biofuel crops on 300 acres on the North Shore of Oahu, and Hawaiian Commercial &Sugar Co. on Maui committing to use some of its land to grow biofuel crops. ThinkTechHawaii.com interviews TerViva's Lila Taheraly on TerViva™'s work in Hawaii establishing pongamia as a local source of fuel, vegetable oil, and animal feed. Watch the interview here. “The oilseeds have a very similar amino acid profile to soybeans,” said Naveen Sikka, chief executive officer of TerViva™, Inc. The seeds contain 40 percent oil that is high in oleic acid. The trees produce eight times the oil and two times the protein per acre as soybeans. TerViva™ believes the crop has the potential to surpass global palm oil production with significantly lower environmental impacts. TerViva™, a Hawaii-based startup developing and commercializing crops that can grow sustainably on unproductive agricultural land, won the 2015 MaiTai Maui Tech Night pitch competition on Wednesday. MaiTai Maui Tech Night is the signature annual event of mbloom, the Maui-based venture capital fund. 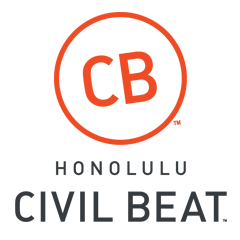 The event is part of the statewide Startup Paradise initiative to build an innovation economy and ecosystem in Hawaii. The agriculture industry is currently in a conundrum. There is a rising global demand for food and fuel, but the land area where crops can be grown has diminished over time. In plain English, the company produces a crop called pongamia that is very similar to soybeans, except that it can produce as much as eight times more oil per acre. The crop is actually harvested like a tree but uses less water and fertilizer than a tree would normally need, making it highly sustainable. The company’s vision is to create a highly scalable, profitable and sustainable source of vegetable oil and protein. Unsuitable for human consumption but with a high oil yield, is pongamia the next big biofuel on the block? Pongamia: a crop that could produce six times more oil per acre than soyabeans or another 'miracle' crop along the jatropha line destined to disappoint farmers? Pongamia has indisputable advantages over other oilseed crops, but its relative obscurity in the biofuels arena means the crop has had limited testing in the field. USA, California-based TerViva™ is one company working with the crop. CEO Naveen Sikka tells Oils & Fats international that his company has developed special varieties of pongamita trees that produce between 30-40% oil. The Yield Lab, the nation’s first agriculture technology business accelerator, today announced its first five participating companies. The companies were selected from a pool of more than 100 applicants from around the world and, according to Yield Lab, reflect the accelerator’s mission to promote solutions for a healthier, more sustainable future globally. The Yield Lab is a nine-month program that supports emerging AgTech companies with up to $100,000 in funding, an Agriculture (Ag) specific curriculum, one-on-one mentorship, free workspace and networking opportunities. TerViva™ – TerViva™ is commercializing a perennial tree grown on underproductive agricultural land called Pongamia. Pongamia produces an annual harvest of pods, which can be crushed to produce animal feed and oil used for biofuels. Some U.S. diplomats, once they leave their overseas posts, go on to become think-tank experts or academics affiliated with well-known universities. Others take jobs as high-powered lobbyists in Washington. Anne Slaughter Andrew chose another route. The first woman ever to represent the United States as ambassador to Costa Rica now runs a venture that hopes to convert the seed oil of pongamia trees into biofuels and other money-making byproducts. TerViva™, based in Oakland, California, has been in business since 2009. Andrew helped start the company with her husband Joe – former chairman of the Democratic National Committee – but had to resign in 2010 upon her confirmation as U.S. envoy to Costa Rica. She rejoined the company as chairman earlier this year following her June 2013 retirement from the State Department. At the Global Ag Conference in New York this year, the CEO of TerViva™, Naveen Sikka, was asked to speak for a few minutes about his company. He began by asking the audience, "How many here would believe me if I said there was a new crop that could produce 6x more oil per acre than what soybeans produce?" A few hands went up. He then asked, "How many here would believe me if I said there were tens of thousands of acres with irrigation all set up to grow this crop, but were sitting idle?" No hands went up. The new crop he was referring to was an oilseed tree called pongamia. And the tens of thousands of acres he was referring to were the abandoned (and dying) citrus acres in Florida that have been suffering under multiple diseases -- the worst being HLB - also known as citrus greening. Read more. From a tree that grows on dormant farmland to an app that saves farmers hours in surveying, these innovators are finding breakthrough ways to improve life on the farm. Read more. Orange-juice futures rose to a two-year high after the U.S. Department of Agriculture said that the crop in Florida, the world’s second-largest grower, will shrink to the lowest since 1985 amid crop disease. Read more.